Dia. - 1000mm, 1200mm, 1300mm, 1500mm, 1800mm. 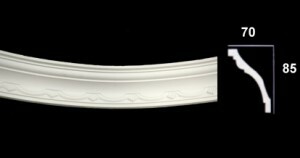 The matching straight cornice is PMA130A and is associated at the bottom of each product page.